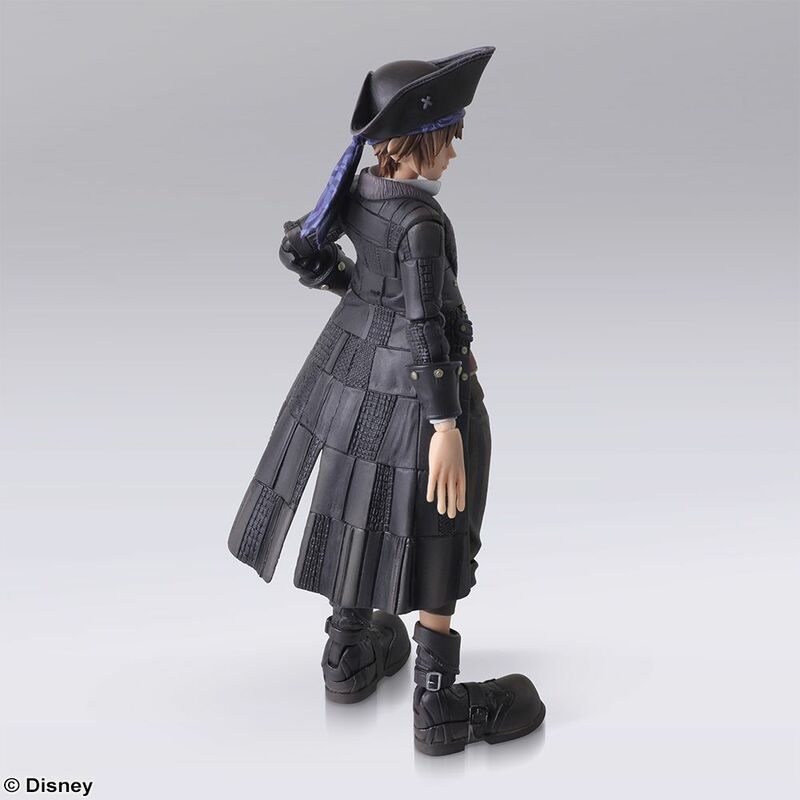 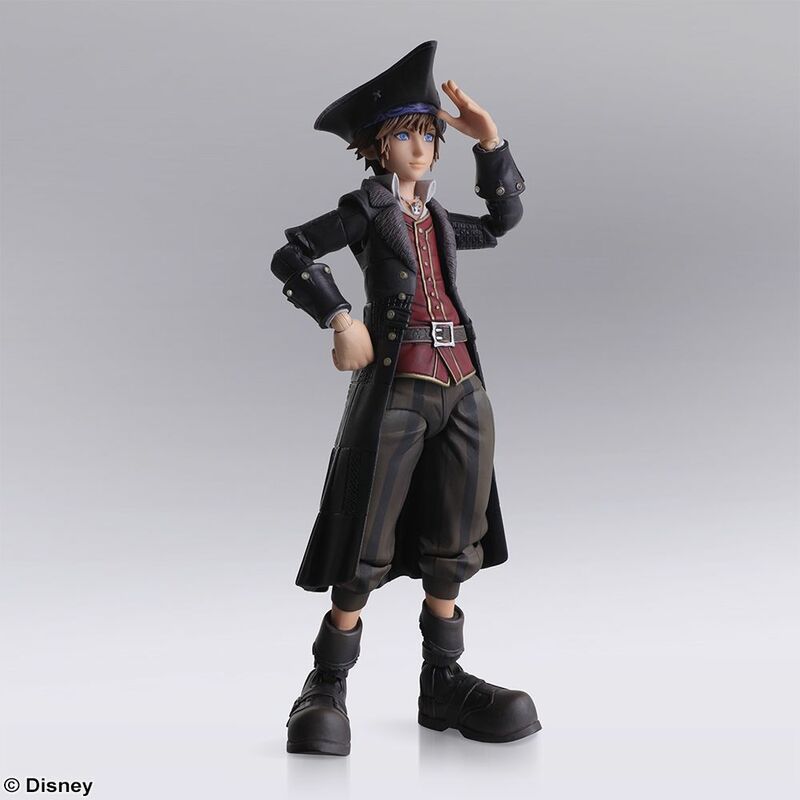 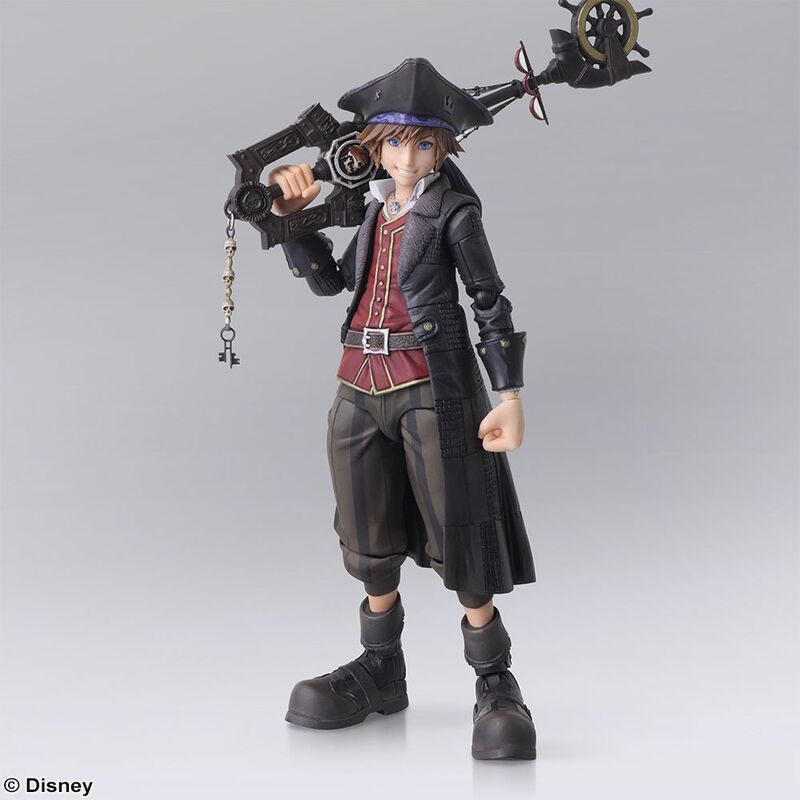 This figure perfectly re-creates the atmosphere of the world, right down to the texture and weathering on Sora’s long coat. 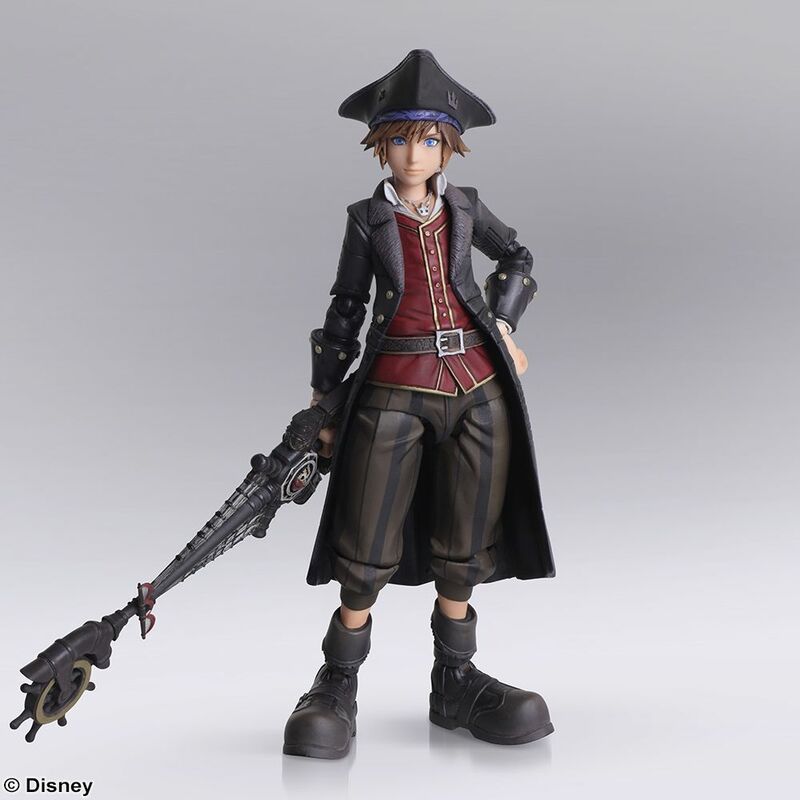 His clothing also uses soft materials to allow for smoother articulation. 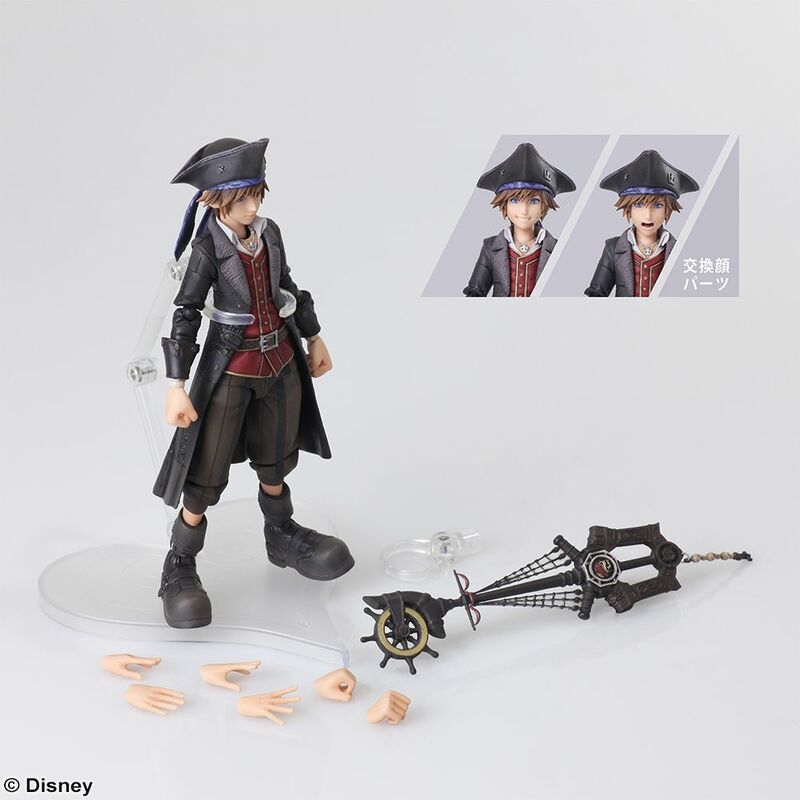 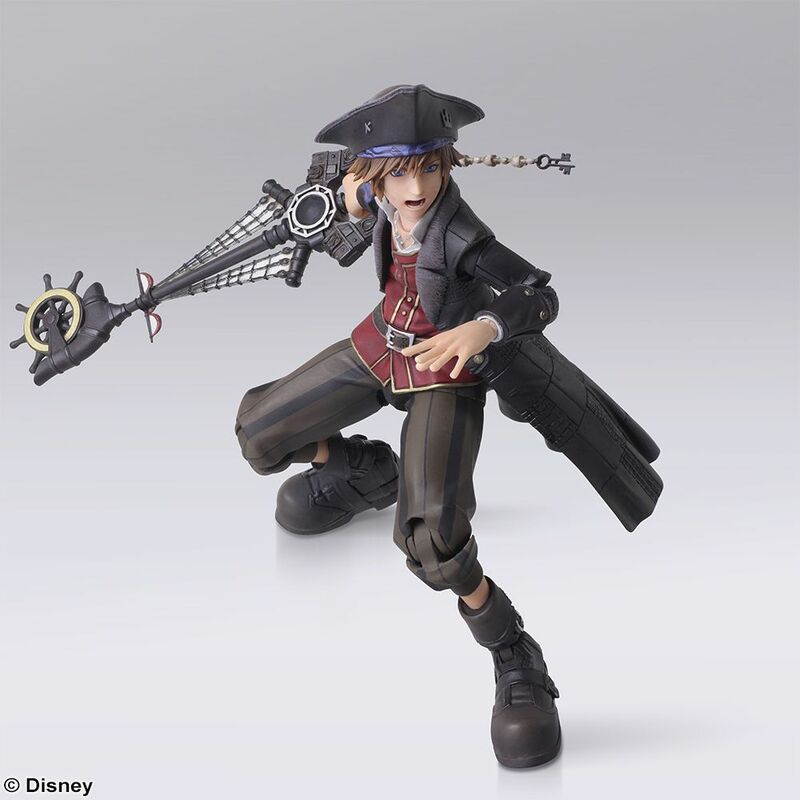 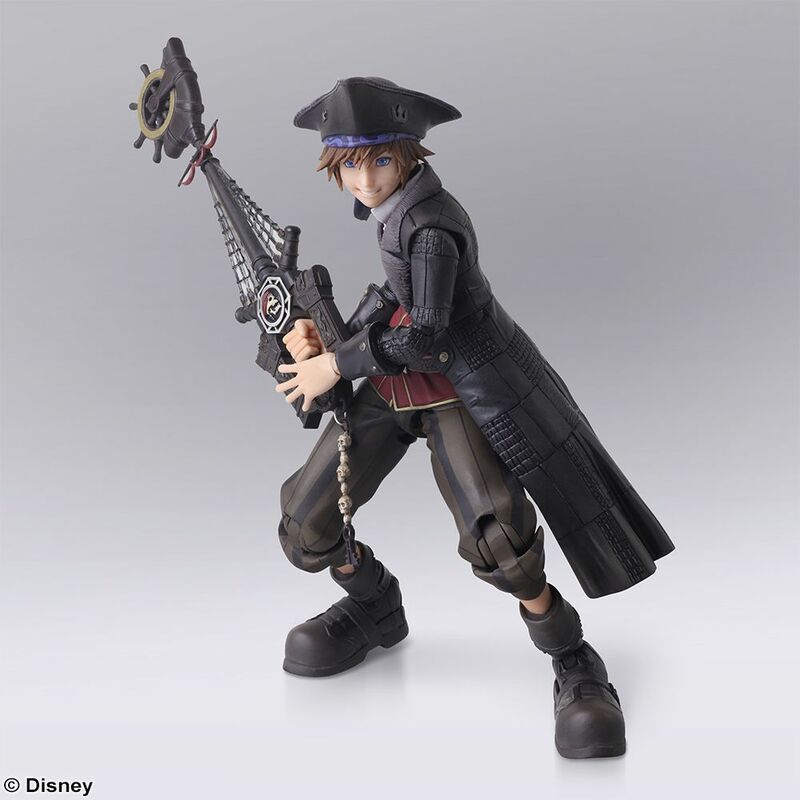 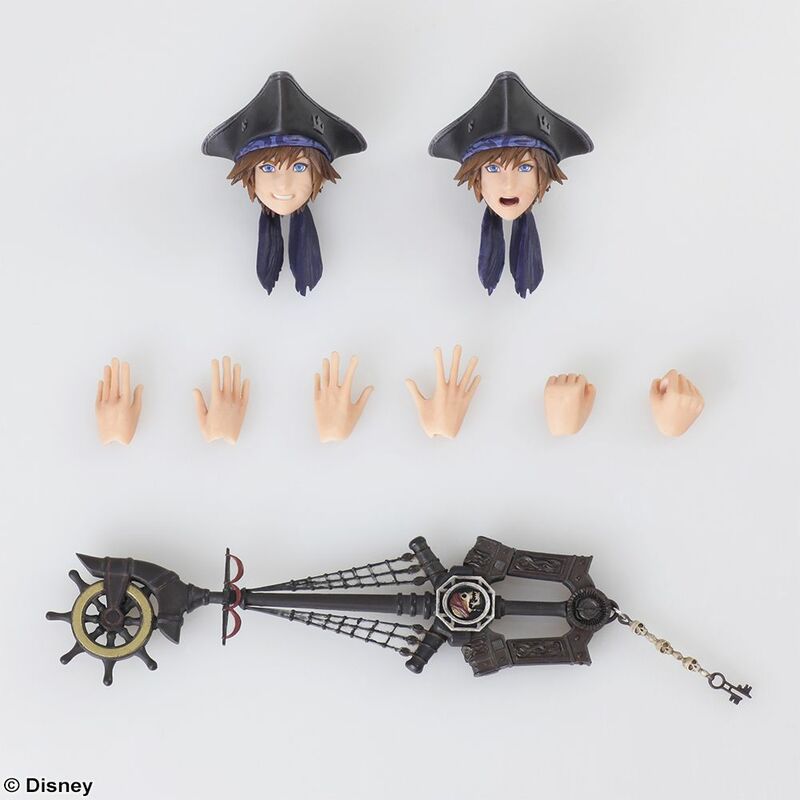 Packaged with numerous accessories, such as the keyblade “Wheel of Fate”, with a compass and mast motif, as well as two alternative heads and six alternative hands, capturing the excitement of the game and allowing for many different action poses.